What does having an IT partner mean when investing in a new PLM system or upgrading an old one? Is it just about installing an out-of-the-box system and then enjoying all the amazing benefits the software developers promised? What about the IoT hype of recent years, specifically regarding the Industrial Internet of Things (IIoT)? 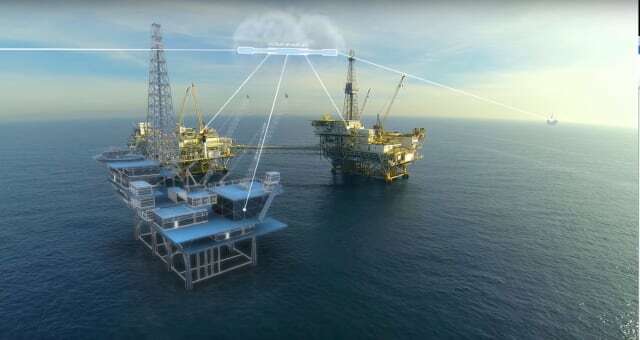 Can you hook up a turnkey platform, make the necessary connections and get going with smart production immediately? I discussed overcoming complications, and the impact of technology development in recent years, with Accenture’s industrial global managing director, Eric Schaeffer, and TechniaTranscat’s CEO, Jonas Gejer. 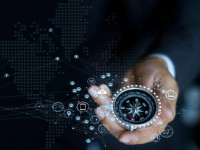 As the world of product realization is going through a major shift, these two leading players have concluded that the PLM and IoT services businesses are being strongly affected. They claim that the need for qualified advice is more necessary than ever. However, the nature of the advice consultants provide will dramatically change in the light of digitalization, emerging out-of-the-box solutions, the platform “explosion,” Internet of Things (IoT) and growing product complexity. “WILL THERE EVEN BE A NEED FOR ERP ANYMORE?” Accenture’s global industry director, Eric Schaeffer, asserts that change is coming fast and that the development dynamics make the future hard to predict. The only thing that is certain is that “whether you’re ready or not - it’s happening now,” and the best way to deal with these new technologies is to invent the future, combining the new with what you’ve got in your backpack. “Experiment and launch as many pilots around ecosystems analytics as you can, across the whole enterprise. Look at sourcing, look at R&D, look at business support functions. Find out which one works. If they work: scale. If they don’t: move to the next idea,” Schaeffer says. Why are PLM service providers needed? Basically, it’s because the systems themselves can be described as a “naked” structural set of functionalities. Let's say that any given system covers 75 percent of what it's supposed to "do" for a product development team. In the case of PLM, we’re talking about providing modules in areas such as product definition, simulation, systems engineering, project management and workflows. This is the same across all major systems, from Dassault Systèmes’ 3DEXPERIENCE as well as in Siemens PLM's Teamcenter, Autodesk’s Fusion Lifecycle, and PTC’s Windchill, though functional scopes may vary. “BIG IS BEAUTIFUL.” Dassault Systèmes’ number one value solution partner, TechniaTranscat, has an aggressive growth strategy. It’s not hard to see that big, globally active companies want to have big, technologically sharp and financially strong suppliers. “Even in the midmarkets, companies tend to use concepts like distributed product development and manufacturing,” said Jonas Gejer, TechniaTranscat’s CEO. “PLM is no exception. A twenty-man team is simply no longer enough, since the projects tend to include more and more.” Technia “leap-frogged” to become a leading European Dassault Systèmes partner position by acquiring German Transcat in 2015. In 2017, the German-Swedish Dassault Systèmes service provider moved on in the expansion track by acquiring Britain’s leading PLM consultant, Intrinsys. 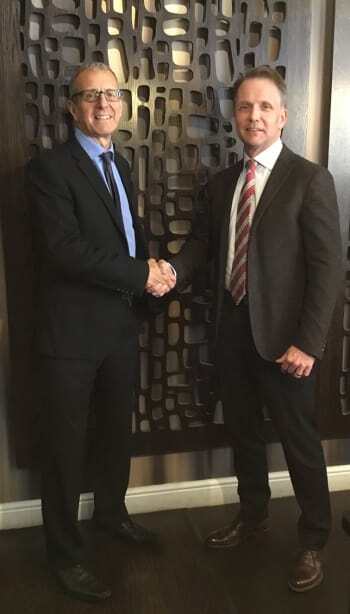 In the picture above, the deal is sealed between Jonas Gejer (right) and Darren Cairns (Intrinsys CEO). It is the remaining 25 percent that can determine the solution's success. What makes the system work well, or less well, comes down to organizing, implementing, adapting systems to specific activities, developing best practices, applying add-ons, establishing supplier chain connections and leveraging education according to deeper levels of industry knowledge. 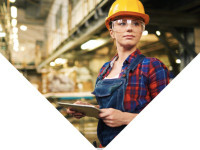 Only when all of this is in place will you get the benefits that an effective PLM system can provide in product development, realization and smart factories. That is why Dassault and the other major players surround themselves with a number of partners: their industry knowledge and ability to package services and turn them into well-functioning, "best-in-class solutions" are crucial to success. Usually large independent names such as Accenture, IBM, and HPE are mentioned. These companies are what CIMdata refers to as, “independent providers focused on selling and/or implementing PLM solutions.” But there are others, and in this category–which also includes designated resellers, VAR’s, and SI’s– we can find some of the PLM market's keenest specific solution partners. Swedish-German TechniaTranscat is one of them. The company, a division in Addnode Group, is growing quickly, and in just a few years has gone from being a local actor to becoming a major European and global player and one of the world's largest Dassault partners. Regardless of categories, the PLM market is changing rapidly and players who want to remain an attractive option must develop solutions related to the new needs. So, what is the present transformation about? Taxal's analyst Allan Behrens, agrees; however, he stresses that although developments are spreading to different directions related to varying needs, the overall picture is that the present technology revolution is actually good news for service providers. “These new technologies–especially as things move to cloud-based provisioning from native ISV’s–offers a lot of opportunities to service providers. We’ve seen this with a number of packages over the past years where applications are built on top of the solutions. So, it’s good news for them, actually,” Behrens said. Behrens reminds us that technology development, in contrast to all the new elements that require specific needs, will still require traditional implementation and integration services — albeit, often in a radically altered form. That is particularly true for those players who work in non-traditional PLM markets, TechniaTranscat is a good example, such as fashion, retail, life sciences and charter travel. But Accenture's existing customers will also need to mix the new reality with what's in the backpack. The challenge in both cases is to develop solutions that make the transition smooth while considering the time factor, the need of pedagogical education programs, development of best practices and a ROI (Return on Investment) that looks attractive. PROFOUND IMPACT IN PLM. Although PLM can be regarded as the first wave of digitalization, the impact of the recent years’ digitalization trend is profound. One example in automotive is the cooperation between German car manufacturer Audi and Siemens. The two companies have taken the next step in vehicle production by digital vehicle commissioning. The manufacturing line for the Audi A8 in Neckarsulm is now controlled by the SIDIS Digital Task Manager, thereby innovating digital assembly in the automotive industry. Generally, customized solutions for diagnostics and testing of car electronics as well as smart vehicle commissioning is a reflection of the digitalization trend, which ultimately will come to a situation where information management as we know it today is being re-engineered top to bottom. As a result of this and other technology news, the advice and competencies provided by consultants like Accenture and TechniaTranscat are going through deep changes. Digitalization is the most fundamental and relates to extracting real-world value from digital data. With such a definition, the “brave new world” is already on the move. According to a survey, top-performing businesses are currently spending 34 percent of their IT budget on digital transformation. In 2018, that figure is expected to rise to 44 percent. Radical advances in digitalization are underway. Platformization is the movement toward platforms to support enterprise strategies and solutions. The main point of this type of Product Innovation Platform (PIP), as described by Gartner analyst Marc Halpern, is that solutions from multiple software developers can be seamlessly deployed using a Service Oriented Architecture (SOA). As PLM spans from product concept through product life, and integrates people, processes, business systems and information, these capabilities cover activities from engineering and manufacturing to general business functions. At its best, the PiP modules are easy to install, easy to swap, and easy to adapt to individual business functions or delivery modalities. Ideally that sounds great. However, from a systems architecture standpoint, PiPs can become what PLM blogger Oleg Shilovitsky describes as, “every IT-manager’s technological nightmare,” not least because they depend on existing PDM and PLM platforms that are finally running smoothly after many years. A reasonable conclusion is that a competent service provider can play an important role in a process where a PiP system is gradually implemented and put into production. “This approach requires a sound adherence to process, data and architectural standards, and the openness of application programming interfaces (APIs) and other integration mechanisms,” asserted Bilello, underlining the continued and growing need of service providers to help organize these requirements. HYPED TREND. IoT is one of the recent years’ most hyped trends. IoT is closely related to the digital twin concept. Simply put, the latter is a virtual representation of a product, process or service. The virtual entity is 'connected' to a central point of recording devices which capture data in real time. Digital twins can come into play at multiple stages, such as design, manufacturing and operation. Furthermore, various 'views' of digital twins can be used during multiple stages of a product’s life cycle, where these views can be seamlessly shared with different stakeholders with supplemental data sources, leading to the formation of an integrated digital thread. The Internet of Things is one of the major trends. IoT is expected not only to transform the way we organize and execute product development and manufacturing (Industrial IoT), but also to eventually create new business models. On a more detailed level, the digital twin concept is closely related to IoT. There is no doubt that the rise of virtual models of physical “things” is creating the next chapter of the developing relationship between IoT and digital business. Gartner describes “the instrumented thing” as “the building block for IoT.” The digital twin representation enables stakeholders to monitor and make decisions about the actual “thing,” its context, and its current and future state. 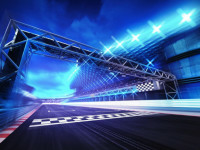 Clearly, this emerging IT innovation is one of the hottest topics of the PLM arena. Analyst IDC predicts that by 2018 companies which invest in this type of technology will see a 30 percent improvement in critical processes. 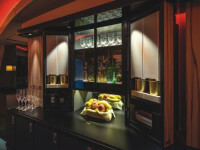 Additionally, one of the effects following in the footprints of smart, connected solutions is growing product complexity. The Cloud enables PLM cloud solutions, which have been around for many years, beginning with Arena and PTC and now including Autodesk’s Fusion Lifecycle. However, this has not yet resulted in broad market adoption. CIMdata estimates that less than 10 percent of the global cPDm market is on the cloud. Though still only a minor portion, “there are signs of a rapidly growing uptake as the perceived security risks seem to be eroding due to—among other things—improved security solutions and the expansion of distributed product development and manufacturing. This is not to mention the needs appearing in the footprints of the growing adoption of IoT and IIoT technologies,” said Allan Behrens. PLM in the cloud will affect pricing models, infrastructural solutions, collaboration models (“social product development,” for instance), and packaging by PLM towards out-of-the box-solutions, which can affect the service providers. All in all, this means big changes for the services business. So, how do major providers respond to this? Accenture’s Eric Schaeffer and TechniaTranscat’s Jonas Gejer both recognize that out-of-the-box solutions (OOTB) are coming and will bring changes. This is not necessarily bad news for them, but it is the kind of news that requires new ideas on improving system functionalities and usage. But there is “pure” good news too: OOTB is just a single part of a larger transformation process triggered by these technology developments. New windows of opportunity have opened, and both Accenture and TechniaTranscat intend to climb through. b) strong partners on the systems integrator side for assembling enterprise scale platforms and integrate technology with new management and business models. THE ACQUISITIONS THAT TOOK ACCENTURE TO THE TOP. As an independent PLM service provider, Accenture works with all three of the big system developers: Dassault Systèmes (3DEXPERIENCES/CATIA, illustrated in the picture above), Siemens PLM (Teamcenter/NX) and PTC (Windchill/Creo), among many others. Accenture’s steep upward revenue curve in PLM is mainly a result of the 2013 acquisitions of German Prion Group (a Siemens Teamcenter specialist focused in automotive, aerospace and industrial equipment), Canadian-French PCO Innovation (Dassault Systèmes and Siemens), and Hungarian industrial automation and embedded systems specialist, Evopro Group. Later they added Kurt Salmon, a strategic consulting leader in retail, footwear and apparel. However, they maintained—and even strengthened—their position as the world’s leading sPDm service provder during 2015, when they pushed IBM off the throne, and through 2016. Today, they have a market share of 16 percent. Accenture is perhaps best known as an ERP consultant, systems integrator and outsourcing specialist; however, PLM and new technologies are playing significant and growing roles as income generators. Accenture’s latest big “PLM moment in time” came when in 2015 they pushed IBM off the throne and became the world’s leading independent PLM/cPDm (collaborative Product Definition management) systems service provider—a position they have maintained and strengthened. 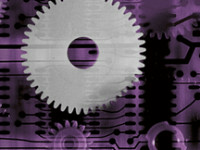 It was mainly through acquisitions Accenture’s giant step forward was realized. According to CIMdata, their software and services revenues grew from $652 million in 2015 to $788 million in 2016. The same applies for its market share, which grew from 13 percent to 16 percent in 2016. As opposed to TechniaTranscat, Accenture is an independent service provider implementing, supporting and servicing suites from all of the Big Three: Siemens’ Teamcenter, Dassault’s ENOVIA or DELMIA, PTC’s Windchill, as well as many other platforms and solutions. In the IoT arena, they work with PTC ThingWorx, SAP Leonardo, Siemens Mindsphere and others. 600 CONSULTANTS IN 11 COUNTRIES. During 2017, Addnode bought Dutch PLM and BIM (Building Information Management) company Infostrait and Britain’s leading PLM actor Intrinsys–which specializes in aerospace and automotive–bringing the staff in Addnode’s PLM division to 600 consultants, and operations in 11 countries including Austria, Finland, Germany, Sweden, Slovakia, Norway, UK, Ireland, India, South Africa and USA. Company revenues will land at around $100 million (proforma 2016). 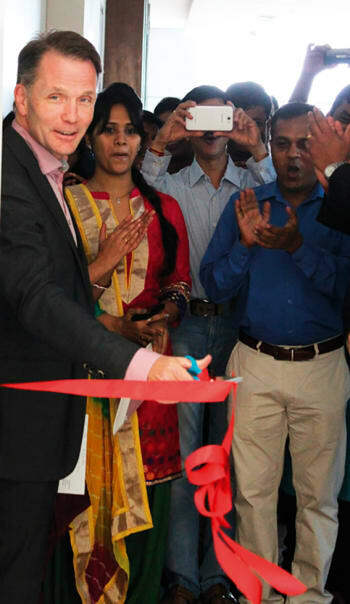 The picture above is from TechniaTranscat’s inauguration of their office in India, when Jonas Gejer cut the red ribbon. Technia “leap-frogged” to a leading European Dassault Systèmes partner position by acquiring German Transcat for around €16 million in 2015. The two companies were merged, and have since done well in terms of revenue growth based on Technia’s strength in cPDm services (PLM/PDM via Dassault Systèmes’ ENOVIA/Matrix and their own TVC suite) and Transcat’s CATIA skills and software such as CAVA. 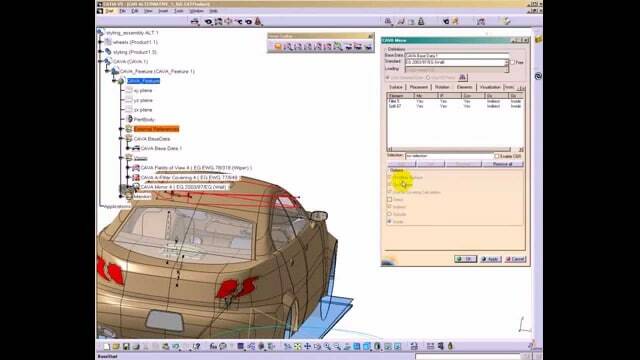 The latter ensures the legality of the vehicle architecture, international rules and standards during the entire design process in CATIA V5 and V6 environments. 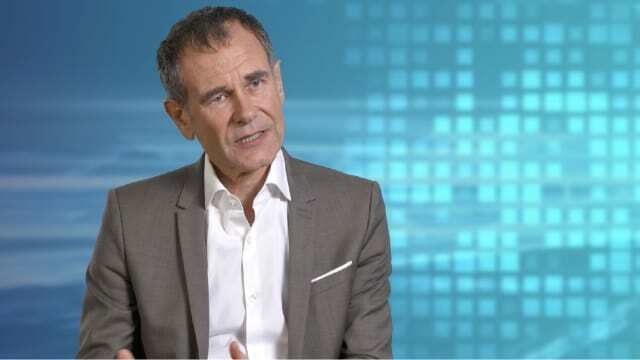 From the perspective of the new technologies, basic PLM is “old” and has only recently achieved its potential as promised by visionaries like Dassault Systèmes’ chief, Bernard Charles. This is by no means unexpected, as PLM when it first appeared in the late 1990s and the early 2000s represented a whole new way of organizing product development. Progress in this field–as in every other field–is a never-ending story. It is, in a philosophical sense, the journey that is the goal. Instead of speculating on where it will end up, we can invent the future based on what we have here and now. It’s often in new combinations, integrating the old with the new, that real progress can be materialized. Instead of seeing it as a threat, companies can create their own implementation packages and do so with better results than the OOTB solutions provided by the developers. TechniaTranscat did this with their product, Technia Value Components (TVC). 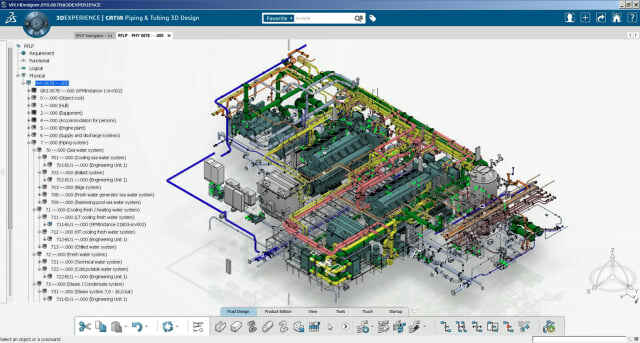 TVC is software reflecting the company's extensive experience in implementing, operating, supporting and developing methodology related to Dassault Systèmes' 3DEXPERIENCE backbone app, ENOVIA. Currently, it has over 300,000 users worldwide and–somewhat paradoxically–Dassault Systèmes is a TVC reseller. “Our efficiency as an integrator and implementation partner is greatly improved by packaging services into components and products. 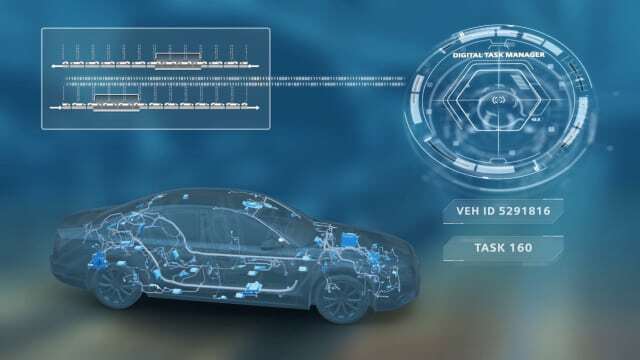 For instance, an automotive customer can experience a 10x efficiency improvements by using our virtual compliance check CAVA for CAR models,” said Gejer. VEHICLE ARCHITECTURE LEGALITY. One of the most interesting software offerings in TechniaTranscat’s portfolio is CAVA, which among other things ensures the legality of the vehicle architecture, international rules and standards during the entire design process in CATIA V5 and V6 environments. 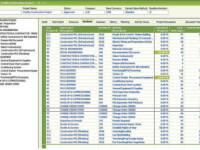 This software is widely used in the automotive industry, where Ford is an example. This TechniaTranscat product for car design is available in the new version 1.28.3, which delivers new and enhanced functionality in the areas of safety of occupants and pedestrians, overall vehicle architecture and vision analysis. Another good example is TechniaTranscats Integration Framework, which is a solution for configuring and connecting PLM (ENOVIA) to other enterprise systems, such as ERP, CRM and MES. “Our clients can, fast and cost effectively, integrate to multiple systems, in some cases 20+. Also, here we see a 10x efficiency improvement factor in developing and maintaining these integrations,” Gejer explained. These are some examples of how a “value solution partner” can invest in developing knowledge and expertise in PLM to meet technology development from an OOTB and integration standpoint. TechniaTranscat’s strategy aims at deepening their account penetration alongside the other main path: to find new, non-traditional industry segments for PLM, such as construction, life sciences, retail/fashion or charter travelling. Accenture’s acquisition model is aggressive. In each of the past two years, Accenture invested more than $900 million in buying companies. During 2017, they will invest another $1.8 billion. This is a strong proof of commitment, and a signal as to where they are heading in terms of providing even better solutions and advice. Newer technologies, such as cloud computing, IoT and big data analytics are the growth drivers for customers across industries that are spending less on traditional areas like system installation and application maintenance than they used to. As these companies–preferably those from Fortune’s top 500 list–move towards digitalization and more rational PLM processes, Accenture will benefit on investments made. CAPITALIZE ON NEW DIGITAL SERVICES. In 2015, Accenture opened an Internet of Things centre of excellence in Singapore to help companies transform their businesses through a combination of deep industry experience and innovative technologies. “As resource industries navigate commodity price cycles and challenges around talent shortages and rising production costs, digital technology provides a way to gain a competitive advantage. This is the reason the centre is here,” said Rachael Bartels, natural resources global industry managing director for Accenture. The centre will help metals, mining, oil and gas, chemicals and utilities companies to capitalise on new digital services and business models focused on intelligent connected devices and machines. When it comes to consulting advice, Accenture offers many insights. The Internet of Things is a good example. It’s being hyped up now, but there is still a long way to go. Schaeffer also underlined that there are no quick fixes for success; things will take time. “What you believe at one point in time is one thing; the development dynamics can lead much further than you could predict in your wildest imagination. Will there be a need for an ERP system anymore? Or the MES systems? Will all of that instead be in the cloud? With the IoT you can imagine many, many options,” asserts Schaeffer. He added that the potential is big, and new technologies like IoT create new needs. As few companies as there are which are a hundred percent ready to implement and run solutions in PLM, the same applies to IoT. 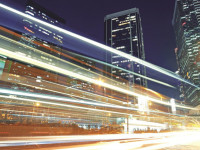 SCHNEIDER’S INNOVATIVE BET ON NEW BUSINESS MODELS. Global energy and automation company, Schneider Electric–an Accenture customer–is working hard on new business models related to IoT. They have set up a “digital service innovation factory,” which comes up with new services that they’ve put on top of their existing product portfolio. They use the term factory for innovation, because you need to industrialize innovation, and it spans across their 42 business lines. It’s almost always true that when a new technology is hyped, things become a bit hysterical—the so-called hype-cycle. In analyst Gartner’s hype-cycle, the idea is that event dynamics follow a frequently recurring pattern; starting with a steep upward curve as an innovation is triggered to the peak of inflated expectation; just to fall back down again to what the analyst calls disillusionment, before it slowly recovers and travels up the slope of enlightenment to finally reach a plateau of productivity. On that plateau, the technology has reached levels of industrial acceptance and practical, concrete applications are being implemented and used. IoT is no exception. According to Gartner’s hype-cycle, IoT reached this peak of inflated expectations during 2014, and today, judging by the “noise level,” virtually every company with self-esteem has launched projects based on that hype. The reality may be different. Only a couple of days ago, ERP developer IFS (known for its Applications suite) in a primary research study concluded that lack of integration stands between companies and the digital transformation benefits of IoT. According to IFS’ survey, only 16 percent of respondents consume IoT data in enterprise resource planning (ERP) software. 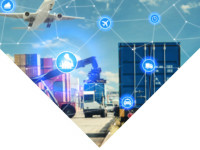 That means 84 percent of industrial companies face a disconnect between data from connected devices and strategic decision making and operations, limiting the digital transformation potential of IoT. The question is: how far have companies actually come? The big player is Schneider Electric, a global player in industrial electrical equipment manufacture. They are becoming more and more of a service oriented company, and have set up what they call a “digital service innovation factory,” which comes up with new services that they’ve put on top of their existing product portfolio. They really use the term factory for innovation, because you need to industrialize innovation, and it spans across their 42 business lines. So, they are well into that journey. The second example, is the Biesse Group. The company designs and manufactures a range of machines and solutions for joiners and large furniture, windows, doors and wood building components manufacturers. The company has less than a billion in turnover, but is one of the leaders in their field. They are on a journey to connect more that 40 percent of their installed base, and they have 50,000 machines out there. Their new machines have 40 sensors, capturing and reporting 60,000 events per day. What do they do with all the gathered data? They have data scientists who come up with new services on top of their products, and feeding it back to engineering they close the loop to improve the design of their machines, looking into commercializing machines as a service. Biesse is well into the future, and to be fair: the future is now. DISRUPTING THE POWER PLAY. “Value shifts from the incumbents to the new players, and this will disrupt the power plays in some industries,” asserts Accenture’s Eric Schaeffer. The old OEM’s are facing tough competition from the new players, such as Uber, Move and Glide. “They are in the mobility play, capturing more and more of that value and taking it away from the OEM’s,” said Schaeffer. 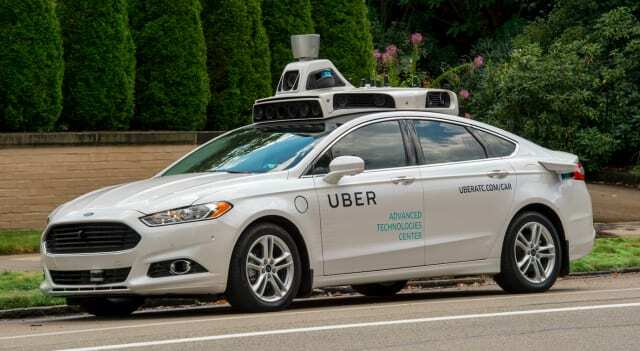 In the picture, a self-driving Uber cab in Pittsburg, USA. At stake are big changes that have already begun to crystallize. One observation is that the value shifts from the incumbents to the new players, and this will disrupt the power plays in some industries. “We’ve already seen this in automotive, with the industries in this segment shifting from only producing cars to becoming mobility players. We will see a value shift from the old OEM’s to the new players, such as Über, Move and Glide. They are in the mobility play, capturing more and more of that value and taking it away from the OEM’s,” said Schaeffer. What about the out-of-the-box trend? As an independent PLM services provider, Accenture has to face the fact that more than one software developer is packaging the solutions according to out-of-the-box principals. Dassault’s 12 designated industry specific solutions based on the 3DEXPERIENCE platform is one example. So, too, is the way Siemens PLM works with the Teamcenter PLM suite, where they launched a solution called Advantedge. This can be divided into two areas: Methodology and Templates. The first is exactly what it sounds like, while the Templates uses a systems engineering approach to define and validate business processes to ensure that the PLM solutions support business objectives. This suggests that the types of services needed will be shifting in the path pointed out by Eric Schaeffer; towards best practice, methodology, operational (such as to run IoT products or sites) and even joint venture services. However, installation and integration services will still be needed. “Big is beautiful” in the service provider arena, and it’s a fact that applies as much for Accenture as it does for a Dassault Systèmes solution provider. “Size matters, which is one of the reasons we [TechniaTranscat] have an aggressive growth strategy. It’s not hard to see that big, globally active companies want to have big, technologically sharp and financially strong suppliers. PLM is no exception. A twenty-man team is simply no longer enough since the projects tend to include more and more.,” Gejer stated. Gejer points at the globalization trend in general as a part of the reason for this, adding that, “even in the midmarkets, companies tend to use concepts like distributed product development and manufacturing.” No matter how small or big they are, you have to be able to follow your clients out into the world. Therefore, TechniaTranscat has bet on rapid growth - organically, yes, but mainly through acquisitions. The recent purchase of Intrinsys (in August 2017) is a good example. Intrinsys is a PLM company is based in Milton Keynes, UK, and Johannesburg, South Africa, with 60 employees and revenues around €17 million. On the other hand, time is essential in building long-term trust and credibility. A leading market position doesn’t come as a “free gift” after a few years on the market. In fact, Gejer himself initiated Technia’s climb up the PLM “mountain” in the mid 90's when he sent a response coupon to an advertisement for the then MatrixOne PDM system to learn more about the solution. As a result, the company became a MatrixOne reseller for Scandinavia, and when the solution was purchased by Dassault back in 2004, Jonas Gejer and his coworkers got a new contract with the French PLM developer. The same long-term commitment applies for Intrinsys. A couple of years ago I had a conversation with Guess’ then CIO and later COO, Mike Relich (these days he’s COO at Crate and Barrel, Glennview) during a visit in Stockholm. This famous manufacturer of trendy and upscale apparel and accessories creates hundreds of styles per season. Their first implementation of PLM was not successful. “Keeping track of it all just wouldn’t work without a competent IT partner and PLM software,” Relish said, while we discussed the company’s troublesome journey to PLM success. Guess invested in Dassault’s Enovia (MatrixOne) but the implementation and users' reactions to the solution were, as he explained, “a minor disaster." “The menus were complex, the user interface definitely did not match the creative setting our employees have. Getting them to take care of this was a challenge at the limit of the insurmountable,” Relich said, explaining that, “it took an employee at least eight clicks to get a BOM (Bill of Materials) of a model.” Furthermore, “Our eight-digit North American style number was not compatible with the Italian 11-digit style number, along with fabric, color and size codes. So, a PLM system was an answer to this,” Relich added. Non-traditional PLM areas are a TechniaTranscat speciality. One of their customers is global fashion and accessories giant Guess. They have had a troublesome PLM journey, but managed to get the solution up and running with help from Technia. “The menus were complex, the user interface definitely did not match the creative setting our employees have,” said the company’s then CIO, Mike Relish. “Technias' entrance to the arena meant a lot,” Relich remembered, when I discussed the case with him in Stockholm a couple of years ago. They started again by implementing Dassault’s ENOVIA (basically the Matrix solution) and slowly but surely the breakthrough came. “Technia's entrance to the arena meant a lot,” Relich remembered. He continued: “This in combination with lessons learned from the first turn made a huge difference.” This time, it was implemented from the user perspective. 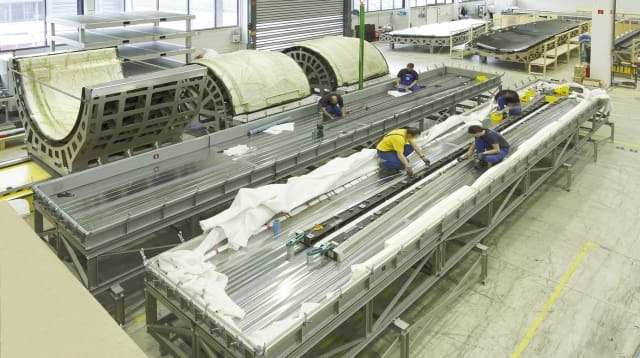 Guess’ story is an example of a non-traditional PLM TechniaTranscat client, while Austrian Tier 1 airplane subcontractor FACC is an example from the more traditional aerospace segment. Clearly, Dassault Systèmes’ CAD system CATIA holds a market-leading position in the aerospace industry as a standard software for virtual product development. 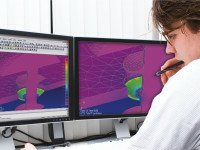 Complex surfaces are historically a strong CATIA characteristic. But as always, one stand-alone product is simply part of a broader context. An essential reason for the decision to cooperate with TechniaTranscat as a partner was its in-house software development department, industry knowledge and solutions. The latter are applied on the premises of FACC in various departments and fields. "The application of myPLM means enormous simplification of cooperation, both internally and with the client. This tool is a useful support to us on all sites in the compliance with specified and manifold system configurations, the fast rollout and the management of additional software packages and new releases," says Werner Strobl, group leader PLM & CAX of FACC. The choice of IT partner made a difference, and this is by no means rare. PLM implementations are never easy, and the larger the scope the more complex it gets. FACC are considered a pioneer in the composite technology field, and they use software solutions developed by TechniaTranscat in combination with CATIA from Dassault Systèmes. In this case, the Q-Checker also plays a significant role in ensuring the compliance with data quality standards and verifying design guidelines. On top of that, myPLM considerably simplifies the system maintenance and updating of the various CAx applications. Today, the insights around what values a competent service provider can contribute are growing. This is reflected in that services on the PLM market's cPDm arena represent about 60 percent of the investments, while software accounts for 40 percent. The trend is that the need of services will continue to grow. Modern product realization is getting more complex and the number of complicating factors in light of the transformation brought on by the cloud, new technology and manufacturing platforms, and the digitalization trend will generally continue to drive the needs. As these new technologies expand their footprints, the necessity of integration between PLM/cPDm and overall solutions will become paramount. New “social industry experiences,” like the ones developed by Dassault Systèmes, will also change the conditions in terms of service needs. New types of knowledge and business models will be required in order to make these “social industry systems” work smoothly; both from an internal and external point of view. The change from the traditional approach is significant, and success will require not only technological skills, but maybe even more new management abilities. The secret of success lies in how fast the software and service providers can ramp up the knowledge and support that these new approaches need. For TechniaTranscat, new industry segments will remain a big potential growth area. As stated above, they’ve been very proactive in this, and have addressed new industrial segments more successfully than any other PLM player in areas such as fashion/retail, construction, charter travelling, life sciences and apparel, besides the “standard” PLM verticals such as automotive, industrial equipment, telecom, and consumer goods. No doubt IoT is also a promising area for the company, where they can help companies with the analysis and interpretation of data, and to create business benefits and new revenue or savings. “We are already delivering IOT applications in our joint venture company Optimdata with the first commercial application ProductInUse,” said TechniaTranscat’s Magnus Carlsmeister. They have a very good track record and represent exactly the kind of flexibility, customer-focused orientation and ability to solve problems that has not always been the hallmark of Dassault Systèmes. For Accenture, the transformation that big transnational companies have entered, or are about to enter, represents a correspondingly huge potential for continued growth. With their combination of a broad stock of global clients, their ability to work in diversified environments and a strong commitment to investments in new technologies like IoT, Industry 4.0 and other emerging platforms, they are well positioned to remain the number one service provider. They have resources that are hard to match within PLM: a global presence in 200 countries with over 375,000 employees, more than 10,000 of which are PLM specialists. Add to that a PLM ecosystem of longstanding alliances with major PLM technology providers, and it becomes clear why their toughest competitor IBM seems to be falling further behind compared to last year. The development of the global economy always presents a problem. On the technological side, the speed of adoption when it comes to cloud-based PLM can change a lot. If this can live up to the promise of being easy to buy, install, upgrade and having an excellent collaboration platform, it will affect many aspects of PLM. It’s all very different to on-premise services.